Ellie B aka Dogamous Pyle delivered an extra woof when I let her out into the backyard of A Bitty Better Sunday morning. I looked out further from the back door, brushed the sleep out of my eyes, grabbed my iPad Pro, and stepped out the side door. Head in the low clouds. 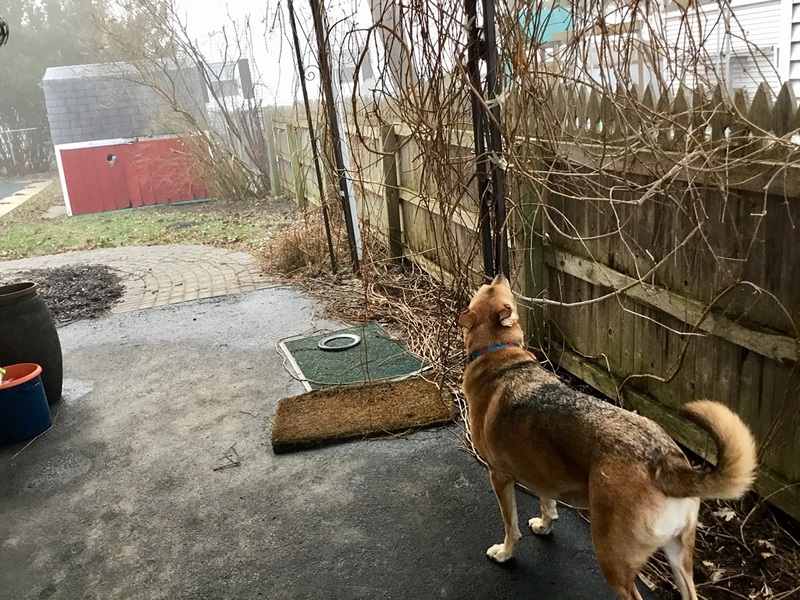 Our cherished rescue mutt wanted me to clearly see the fog that had settled over the Liverpool neighborhood of Galeville. She went about her business, albeit a bit slower than usual. I went looking for more angles. It seemed even foggier out front. So I went out the front door to investigate that direction. Fog to the right side of Town Hall. 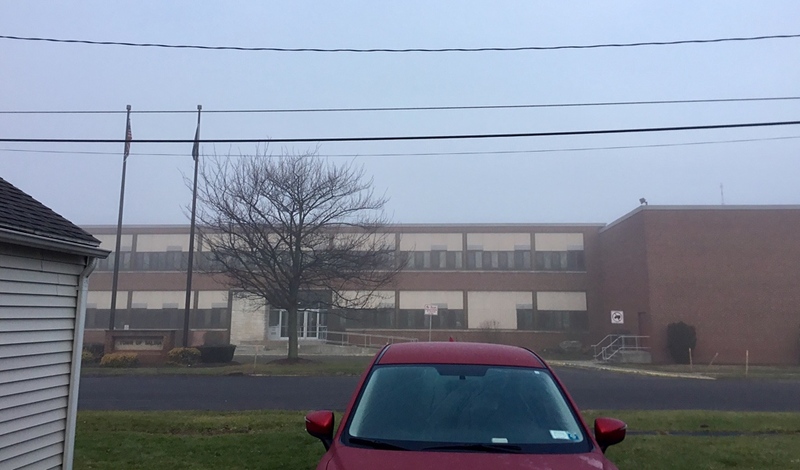 Fog flanked the Salina Town Hall. 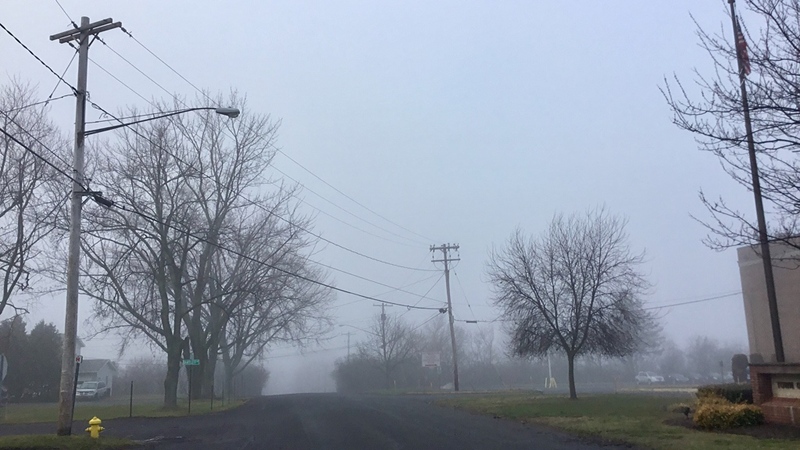 A stride to the street revealed that our slice of Onondaga Lake view was not to be this morning of Sunday, Jan. 22, 2017. That’s what happens when it gets this warm in January in our Central New York. I was glad that I had no driving in my plans. 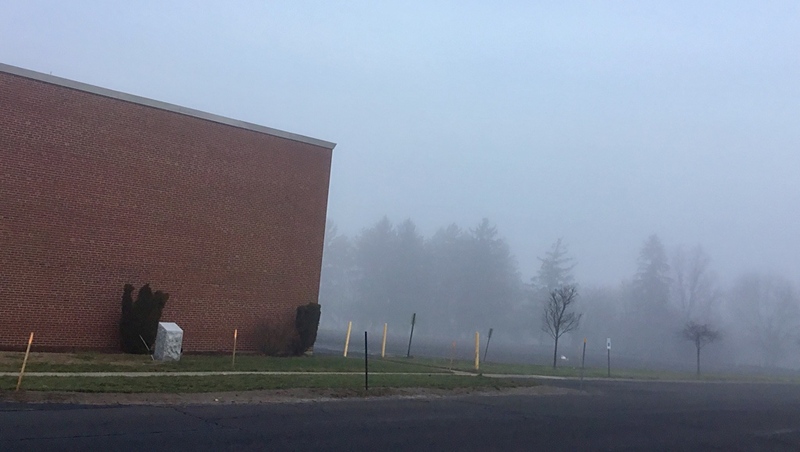 How foggy does it get where you live? What views get obscured by fog in your part of the world? Which is your favorite photo, and why? Funnily enough it is really foggy and frosty here today too!! Clear across the ocean, you got our weather, Willow! Hi Mark! It does get foggy in Jakarta, but that’s due to the excessive air pollution levels, so I don’t know if that counts. I love the photo ‘What’s out there?’ It looks as if the world ends at your house. Thanks for sharing! We used to call that smog when I lived on the outskirts of New York City, thephilcyclist. So I think it does count. Yikes! Hey, thanks for the kind words about that photo. I like it, too. Have a great day. Yes, Gatorette, the temperatures have been yo-yo-ing around Central New York. They’re supposed to drop down from 41 this morning to snowable this afternoon. Yikes. The Southeast, as you may have heard had devastating tornadoes ( GA., MS., Al., FL.) just recently. Most unpredictable weather this year! Yikes, more snow??? We’ve had fog a couple of times in the last month, which is so rare here. 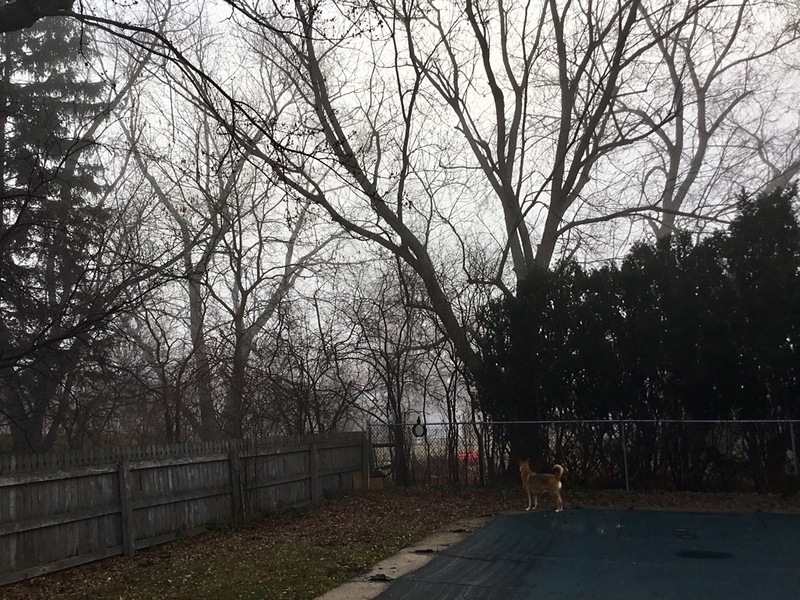 Yes, eerie it is, Beth, even our own backyards! We get freezing fog quite often (we are expecting some in the next few days) and it covers all the trees with beautiful white hoar frost. It makes the scenery so lovely and peaceful looking.